The Irish Warriors enter the 2014 International Cup attempting to win back to back titles, something that has never been achieved before in the short history of the tournament. Ireland has appeared at every International Cup, winning inaugural event in 2002 before slipping to fourth in ’05 and ’08 followed by victory at the MCG in 2011. David Stynes, brother of the late great Jim, returns this time as player coach having been part of the winning Irish sides in both 2002 and 2011. Stynes replaces Shaun McElhone who has led the Irish side to great success since 2011, winning two 9-a-side Euro cups along with the full side European Championship in 2013. Unfortunately Shaun is unable to attend the 2014 International Cup due to family reasons. Stynes, who played Gaelic Football for Dublin prior to moving to Australia is the head coach of the Moorabbin Kangaroo’s in the Southern Football League. Stynes is the only two time winner of the International Cup having played in 2002 before returning in 2011. His experience in 2011 showed in the final as, from half back, he organised the Irish defensive unit which helped set up their come from behind victory. 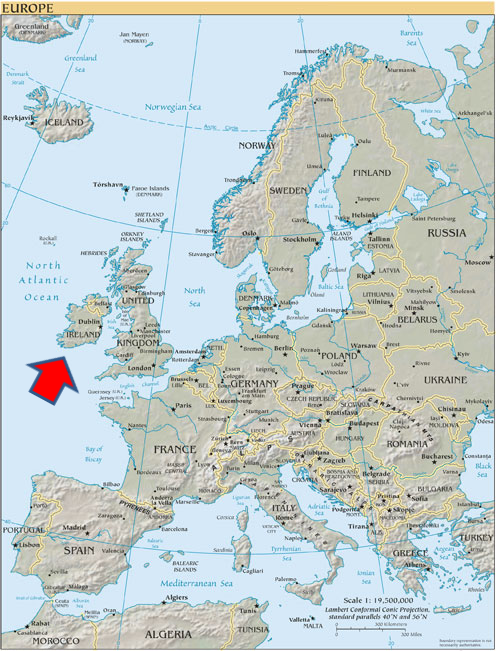 Ireland is a country of 5 million people on the Western edge of Europe. 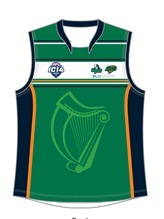 The Australian Rules Football league of Ireland (ARFLI) was founded in 1999. Ireland has the most illustrious history of any foreign nation in the AFL with dozens of Irishmen having plied their trade in Australia. These include 1991 Brownlow medal winner Jim Stynes, 2005 Premiership player Tadgh Kennelly, Setanta O’hAlpin, Sean Wright and current AFL regulars Pearce Hanley and Zach Tuohy. The success of these players has seen current AFL sides continue to take the educated risk on the so-called Irish experiment. Several Irishmen have had a crack in recent times only to return to Ireland without having made their AFL debut. But as Irish players can be taken with a rookie draft pick, which is essentially a free pick, and the lour of a professional contract recent Irish recruits that have shown promise include Carlton duo Ciaran Sheehan and Ciaran Byrne along with Port Adelaide’s Daniel Flynn. That Aussie rules players rely on similar skills sets to Gaelic Football is both a blessing and curse to the game in Ireland. Most players in the ARFLI come to the sport from a Gaelic background and as such have the ability to mark overhead as well as kick and handball. But for a variety of reason the league hasn’t spread as wide as would have been hoped for. There are currently 6 teams in the ARFLI and although many are strong, recent years have seen the West Dublin Saints and the Mullingar Tigers merge into the North Leinster Giants. Also the Clare Crows and Kerry Kangaroo’s folded in the late 2000’s. Things however look to be on the up with the recent re-emergence of the Belfast Redbacks seeing them win the 2012 premiership following a few years in hiatus. Also the Galway Magpies have, from scratch, grown to be a consistent performer. Recently the first University based side in the country has seen the birth of the University College Cork Bombers. Although the Warriors squad have only 4 returning players from three years ago crucially they welcome back Mick Finn who was awarded ‘Best on ground’ in the 2011 grand final victory over PNG. Finn’s 4 goals turned the tide as the Warriors came from behind to beat a strong PNG outfit. The 2013 European championship saw the Irish win a dramatic final against old rivals Great Britain by a single point, 7.3 (45) to 6.8 (44). After winnings the 9-a-side Euro Cup in both 2011 and 2012 the Warriors finished a disappointing 5th in Bordeaux last year. As there are no full size Aussie rules Ovals in Ireland the domestic league is played exclusively on smaller Gaelic football pitch which limit most games to 14-a-side. A large reason for the success of the 2011 campaign was because half of that squad were picked from clubs based in Australia. This is also the case for the 2014 squad and with plenty of experience from the last year’s European championship triumph as well as players contending in strong quality leagues this team has the talent to contend for major honours again. The squad has a good spread of talent as well as strong spine and with five games in 15 days the quality of the squad’s depth will be vital. As the 2011 tournament showed the Irish to have a very high level of fitness, winning every second half they played, Stynes will be determined to focus on that aspect of the squad. Padraig Lucey has been seen on Australian TV screens recently as part of the FOX 8 show The Recruit. The reality show features 12 AFL players living and playing together, under the watchful gaze of Brisbane Lions legend Michael Voss, as they compete for an allusive contract with an AFL club. Having previously played for the European Legion AFL team and the Irish basketball team at underage levels stepping on the field for the Warriors will give Lucey a truly unique CV. The tall, imposing figure of Irish Captain Mick Finn will partake in his fourth straight International Cup having been named in the team of the tournament on three previous occasions. He was named ‘Best and fairest’ in the 2008 tournament and backed that up with a Best on Ground performance in a 4 goal display in the 2011 Grand Final. An outstanding contested mark and noted for kicking goals from distance Finn will be a crucial man to stop for any team hoping to stop the Irish. The giant Paul O’Halloran is a main stay of the South Dublin Swans side that has won three of the last four ARFLI premierships. At 6’9 Paul looks to dominate the ruck contest and was part of the Warriors side that were victorious in the 2013 European Championship. He also gained valuable experience during a season playing suburban footy for the Canterbury Cobra’s in Melbourne’s eastern suburbs. The Irish Warriors will go into the tournament seeking nothing less that another victory in the grand final at the MCG. They will respectful and wary of group opponents Fiji, France and Nauru but failure to top the group will be seen as a disaster. Traditionally in the International Cup Ireland don’t put on the occasional cricket scores that we have seen New Zealand and PNG produce in the past but the Warriors are always difficult to score against. Expect Ireland to be right there at the sharp end of the tournament and it may well be that if another country wishes to steal their crown they will have to beat the Warriors along the way. Dr Tammy Verlaan Ross Team Chiropractor.